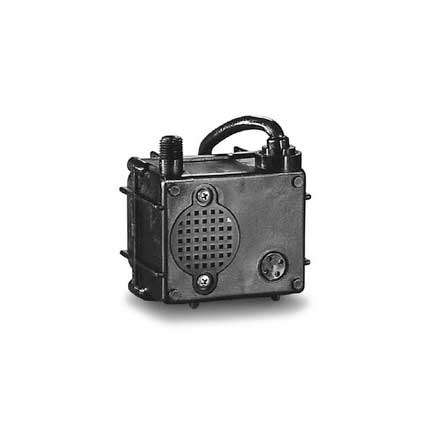 Small submersible oil filled pump with corrosion resistant nylon housing. This compact 120 GPH pump features a 1/4 in. MNPT discharge, 4.6 ft. shut-off head capability, and screened inlet. Shipping Info: 9" x 9" x 9" - 5 lbs.